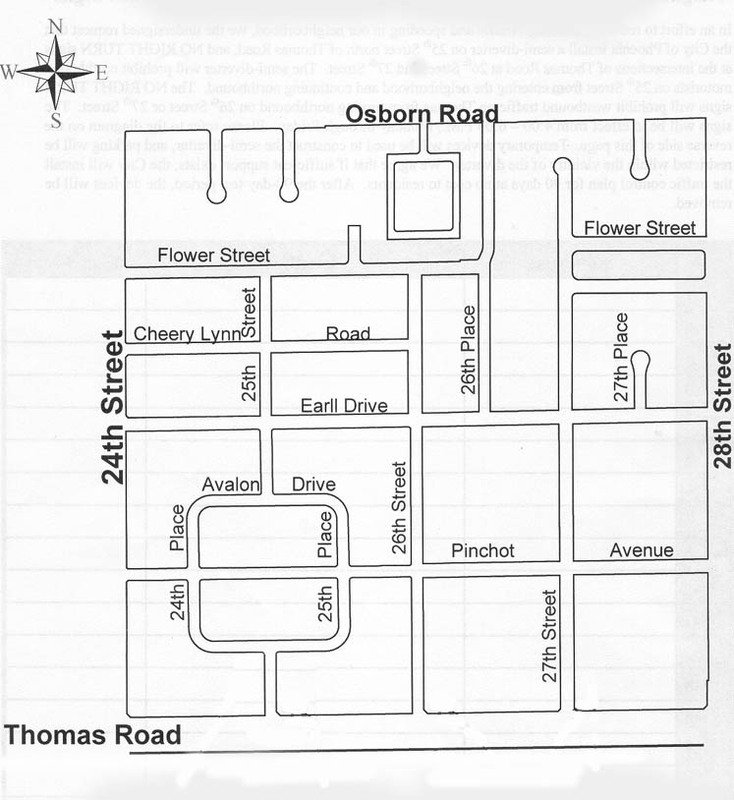 In June 1996 the Phoenix Homestead Neighborhood Association expanded its boundaries from the existing boundaries of Thomas Road to Osborn Road, 26th Street to 28th Street, to include 26th Street to 24th Street, Thomas Road to Osborn Road. There were several reasons the PHNA expanded its boundaries west to 24th Street. • PHNA expanding its boundaries west to 24th Street made the most sense to keep the neighborhood intact. There were active neighborhood associations on the west side of 24th Street and on the south side of Thomas Road. PHNA expanded its boundaries by changing its By-Laws through a vote of its existing membership. PHNA then actively sought out board members who lived in the expanded boundaries. To build a sense of community throughout the whole neighborhood the PHNA actively included the expanded area in all association activities, including door-to-door delivery of regular PHNA newsletters, the Aleppo pine tree planting project, neighborhood clean-ups and the annual luminaries’ event. Since this expansion, the PHNA has successfully worked to build a strong community. There are now approximately 400 households in the PHNA. See the map of the neighborhood for street details. The Phoenix Homesteads Association was created to unify the residents of our neighborhood and to strengthen our community. Our goals are to create a safe and secure environment, to beautify our neighborhood, and to build a shared sense of community. Achieving these goals will benefit all in this area by increasing our property values and improving our living environment. Dues are $20 per year, up in April. Monies are used for the improvement of the neighborhood and for the enjoyment of the members. 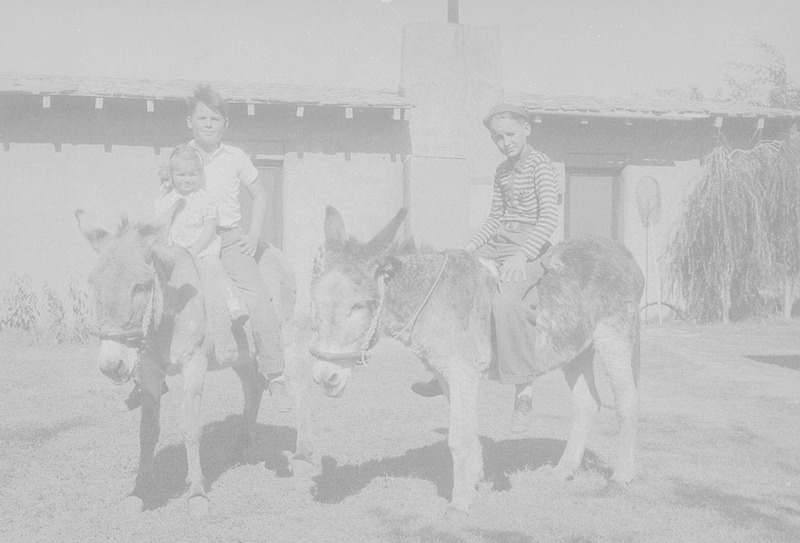 Please consider supporting the Phoenix Homesteads Association. We need your help in achieving our goals.